At Varndean School we are committed to ensuring that all students fulfil their potential. 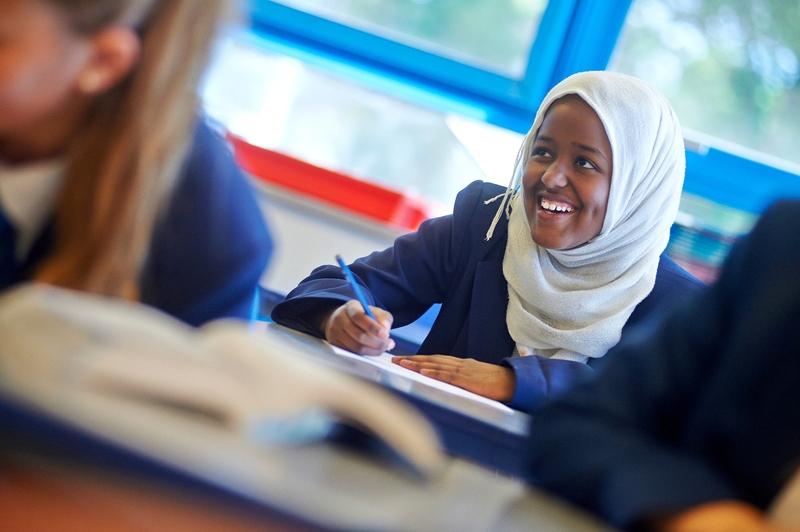 We are proud to offer a broad and balanced curriculum that stretches and challenges young people. We are proud to offer a range of extra-curricular clubs that provide students with opportunities to explore, create and probe different areas of education. In turn, developing passionate, enthusiastic learners which helps students at Varndean school to excel in and beyond the curriculum. As well as the many internal extra-curricular activities on offer at Varndean School, we are partnered with ‘The Brilliant Club’ which is an external award winning non-profit organisation that exists to widen access to top universities for outstanding students. The Brilliant Club runs in Years 8, 9 and 10 for Able and Talented students focusing on STEM subjects (Science, Technology, Engineering and Maths). At Varndean School we provide a curriculum that allows the talents and skills of students to be nourished. With this in mind Year 7 have a new exciting curriculum called 'Specialist Schools.' Specialist Schools is a time for students to opt into a specialist curriculum of their choice once a week. There are four specialist schools; School of Leadership, School of Discovery, School of Creativity and School of Expression. This is a unique opportunity for students at Varndean School which allows them the freedom and resources to enhance their giftedness. In July 2014 we were thrilled to announce we achieved the NACE Challenge Award (National Association for Able Children in Education), making the school a centre of excellence for Able, Gifted and Talented Students. Varndean School is the only secondary school in Brighton & Hove to have achieved this award and one of only 1% of schools nationally. The award is given for high quality work by the whole school, teachers and Governors, in challenging all pupils, including those with high abilities, to achieve their best. All pupils are challenged to be the best they can be. NACE is a leading national education organisation and registered charity established for over 30 years. The Association exists to help the daily work of teachers providing for pupils with high abilities whilst enabling all pupils to flourish. It provides advice, training and resources for teachers, including The NACE Challenge Award Self-Evaluation Framework which Varndean School has used to audit and plan what it provides for more able, gifted and talented pupils. Many thousands of primary and secondary schools are using The NACE Challenge Award Framework to develop their work. The quality of the school’s work was judged by observing lessons, interviewing the pupils, teachers, parents and Governors and by looking at the pupils’ work. The Award is given when schools demonstrate that they meet the criteria of the Award and will remain committed to continuing to ensure high-quality provision for more able, gifted and talented pupils.